Once again, Laura worked her magic to sort out my hair and I'm loving the results. Great salon atmosphere. Thank you Sally for your all 5* review and your lovely comments about Laura and the salon atmosphere. Great experience as always.really nice people.great cut by Sarah. Many thanks for your great review and comments. Really love the update to my hairstyle that Sarah did today-from shaggy and tired to sleek and up to date in oneeasy move! Great news, many thanks Jennie for your review and comments we really appreciate it. Really enjoyed my time there surrounded by a lovely and lively crew. Thank you Claire for your great review and comments about Amy, we really appreciate it. As always a warm friendly smile from the girls! Efficient attentitive staff, who do a brilliant job. I've just had a much needed trim with Charlene B and I'm so chuffed with the results. She was great at sharing lots of advice about what to do with my hair whilst I'm trying to grow it and I felt she really listened to me about how I'd like my hair to be. I've definitely found my new 'go to' hairdresser! Thank you Laura for your great review and comments, especially about Charlene B, she is really pleased. Julie Rodriguez attended for Colour and blow dry 4/8/16 with Charlene no 1. I couldn't be happier with the service and with my hair. Lovely girls, lovely salon, nice tea and a great colour. Charlene no 1 will be very happy with your review, many thanks Julie for taking the time to do the review and for your brilliant comments. I can't recommend this salon enough. Great service, great welcome from really friendly staff and always 100% happy with my colour and cut from Sarah or Charlene. A pleasure to visit you all! 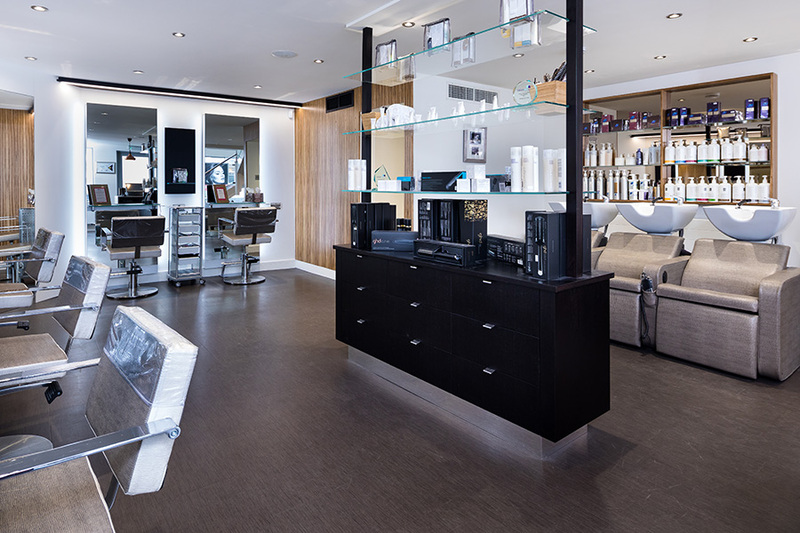 Very clean and tidy salon. Welcoming staff who listen to what the client wants but also gives good advice. Products used made hair feel soft and in good condition. In all a very good service which is also good value for money. Would revisit. Thank you for your great review and comments, we really appreciate it. Great Cut and Blow Dry! My regular 12 weekly cut and blow dry with Sarah. As usual my hair has grown a lot but kept much of it's shape and style (always a sign of a great cut!) so this was really just a bit of maintenance cut to keep it looking great over the summer. Usual great atmosphere in the salon and as a bonus they managed to fit my daughter in at very late notice with Amy so we both walked out of the salon looking and feeling fabulous! Thank you Sarah for your great review and comments. My hair is incredibly important to me and affects my mood. That is why I have trusted Decesare with my highlights and hair cut for over 14 years. I couldn't imagine going anywhere else. The salon is stylish and comfortable with attentive staff and I always look forward to going back. We appreciate your loyalty and thank you for your great review and comments. It was a really lovely treat. Enjoyed it very much. We are really glad you enjoyed the Philip Kingsley elasticizer treatment and thank you for your great review and comments. I can't rate Michael highly enough. What he doesn't know about hair isn't worth knowing. Michael is a genius and my only regret is that I didn't find Decasere years ago! That's a great review thank you and Michael will be pleased, he will love being called a genius! I have been going to Decesare for many years now and actually travel from Leighton Buzzard to Woburn Sands for the pleasure even though I don't drive!!! My husband is more than happy to drive me to the salon as he knows how happy they make me!! I would travel further if I needed to and would defy you to find a better salon even in the big cities. There is a friendly informal feel to the salon but all the stylists are extremely professional. The same stylists have been there for many years which shows what a lovely place it is to work too. They always have time before even picking up scissors or leading you to the wash basins to fully discuss what you are hoping to achieve but also if it is possible for your hair. I have never left the salon feeling unhappy and have tried many different lengths of hair and colours. Give them a try you will not be disapointed. Thank you Nicola for taking the time to write this great review and comments, it is very much appreciated. I have blonde hair, which used to be extremely damaged from colour and never grew past my shoulders. When I moved to Hertfordshire Decesare was recommended to me and I am so happy I went! My hair is now long (!!! ), healthy, shiny and the colour really lasts between appointments. I am so, so pleased with how my hair looks now and it really is down to Charlene! She uses good colours that suit me, recommends great products and never cuts too much off! I love the blow dries especially at Decesare as I always have that 'just left the hair salon' feeling when I do leave. I would never go anywhere else. I book in for blow dries alone too if I'm going to an event because I know that I'm guaranteed to like how my hair looks! Really good value here too compared to other salons that do a pretty average job! Thank you Alex for your great review and comments, we are really pleased. Many thanks for your review and comments. Been going here for aprx 7 years now after many hair disasters in Milton Keynes! Never disappointed with my many visits to Decesare's and would highly recommend using this salon . Friendly welcoming staff that really listen and deliver results! Fab looking hair every time ! Thank you Debbie for the lovely review and comments. Sarah always does a fantastic job. She knows what is best for me and she is always right . The salon has a lovely warm and welcoming atmosphere, I wouldn't go anywhere else. Thank you for your great review and comments on the salon and Sarah, very much appreciated. I think the fact that I been coming to Decesare for over 15 years says it all. I thoroughly enjoy my visits, the atmosphere, the discussions, the fun and laughter and of course George Michael!! Oh yes and my hair always looks fantastic!! Just had a brilliant cut from Laura, as usual, after a fantastic colour from Charlene. I'm never disappointed with my visits. Michael stocks great products and ensures that his team offer consistently great service. I've been a client for over 20 years, and I don't intend to go anywhere else.